Tom was able to communicate with the leader of the great race of flying ape-dogs on the planet Durthyanus. Tom was a patient in mental hospital who was spoon-fed mush by a nurse and needed his nap-nap changed twice a day, but there is no reason not to believe that he had strong powers of interplanetary telepathy; most people who possess such gifts are actually completely untrustworthy. That’s barely even an exaggeration! 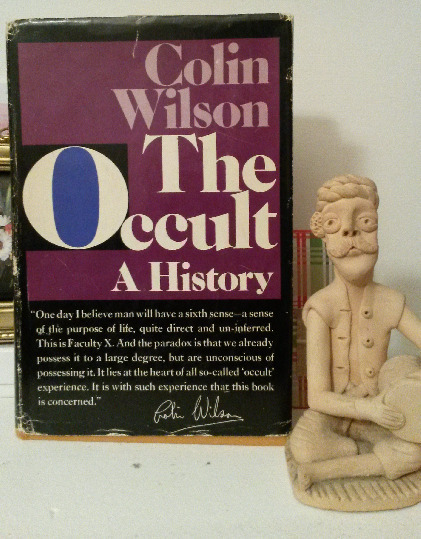 I understand that people who write books on the occult are often going to be more ‘open-minded’ than the average individual, but Colin Wilson comes across as a chump. The book is definitely well researched though. Wilson uses lots of interesting sources and I got loads of ideas for other books to read from this one. This book is actually quite an enjoyable read if you don’t waste too much time getting upset over the author’s ridiculous methods of reasoning. I really liked the chapters on Cagliostro and werewolves, but I couldn’t bring myself to finish the final chapter in which the author discusses ‘Faculty x’ in detail. ‘Faculty x’ is basically a 6th sense type thing that Wilson believed human beings were about to discover/develop. Well, this book was written more than 40 years ago and from what I can tell, we’re yet to x. Sometimes I feel that I put too much faith in the authors of books on the occult. I’m not sure that people intelligent enough to make their living as writers could possibly believe the wacky crap that ends up getting published. I reckon that authors are spewing out this silly garbage just to increase their sales. It makes sense that a writer like Wilson would inject a little craziness into an otherwise reasonable historical account; books on the fantastic just aren’t as enjoyable when they’re logical. 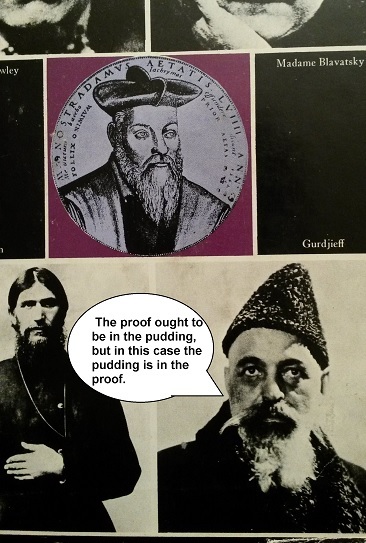 I mean it’s not likely that anybody would ever pay money for a book that sets out to disprove the validity of moleomancy.